Vera Joan Johnson, 92 of Nevada, MO passed away Thursday, March 21, 2019 at Barone Alzheimer’s Care Center following a period of illness. Vera was born February 11, 1927 in Seattle, WA, the daughter of Raymond and Vevah (Lough) Clithero. She graduated West Seattle High School and later earned an associate degree. Vera operated a pre-school in her home in Los Angeles, CA for many years. She was a profound civic activist who helped develop the founding of Santa Clarita from several adjoining communities. Vera was involved in city politics, and was a member of the Women’s Republican Party. She was devoted wife, mother, and grandmother who had a great love for her family. Vera and her husband Warren moved to Joplin, MO after the couple retired in 2003. Vera was preceded in death by her husband Warren; son, Mark Quarantello, and daughter, Susie Quarantello. 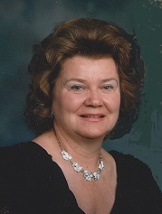 She is survived by three sons, Bruce Quarantello, Tulsa, OK, Matthew Johnson (Wendy) Acton, CA, and Christian Johnson, Walker, MO; grandchildren, Sophia Johnson and Rebecca Bishop; brother, Robert Clithero (Pat) Camden, SC; extended family, and special friends. Funeral services will be held at 2:00 p.m. on Tuesday, March 26, 2019 in the Ferry Funeral Home Chapel with Pastor Terry Mosher officiating. Interment will follow in Green Lawn Cemetery in Schell City. Memorials are suggested to Barone Alzheimer’s Care Center in care of the funeral home.